It was an unreasonably hot afternoon in Port-au-Prince, Haiti. The mid-August sun was relentless in the sky, beaming down directly on the soccer players as they nervously fidgeted and jogged in place. Brandon Anderson stood intently in the row of his teammates, all wearing black, yellow and green—the colours of their country, Jamaica. It’s an emotional and nerve-wracking moment for any athlete to compete in an internationally sanctioned game. Never mind playing the game in an unfamiliar position. It is the Caribbean Football Union Under-23 championship third place playoff matchup and Anderson is starting as defense for Jamaica against St. Vincent and the Grenadines. When not answering his country’s international call of duty, he is a Concordia Stingers soccer player and international business major. But as the anthem of “Jamaica, Land We Love,” blared over the loud speakers, one has to wonder if Anderson was thinking about the long journey he had to take to get to the Stade Sylvio Cator on that tropical afternoon. After training with the Under-17 Jamaican team a few years back, Anderson was ultimately cut from the final squad for the FIFA U-17 World Cup. Not discouraged, Anderson continued on playing at the club and university level and dedicated himself to becoming a better all around player. After three years, his persistence paid off when he was reselected to the national team pool, this time for the Under-23 team. It was a dream come true for the 20-year-old when he made the final cut and officially became a member of what Jamaicans proudly call The Reggae Boyz. “I was very proud to put on that shirt. It was an honour,” he said about his selection. It was an honour he could share with his family as well. “My family has always loved football and brought me up in a football environment. And to see me reach that level was a real accomplishment for my family,” he said. For the game itself, Jamaica defeated St. Vincent and the Grenadines in extra time by a score of 3-2. Anderson played all 120 minutes. Although his team had already been eliminated after losing the semi-finals, the atmosphere was intense. 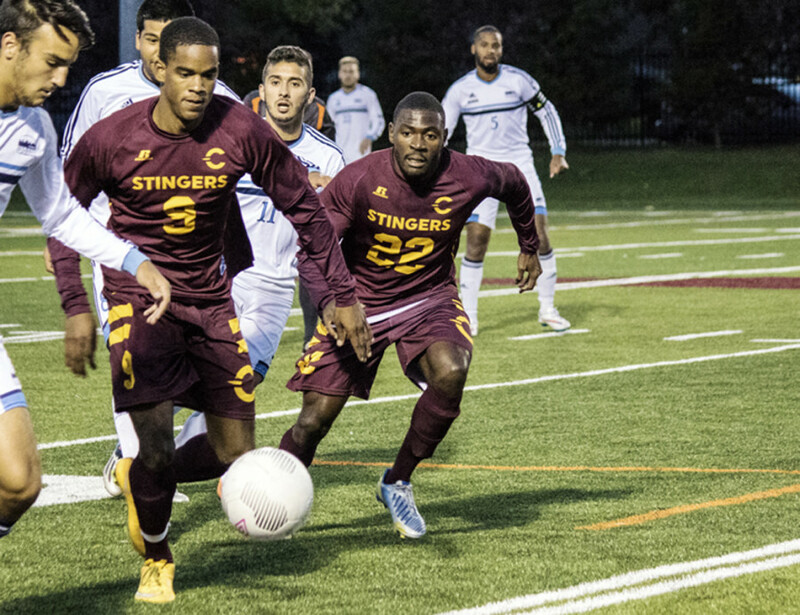 Anderson has transcended that experience into the 2015 Stingers soccer season. He is a frequent member of the starting 11, normally playing the central attacking midfield position. Concordia, after going winless last season, has put together two victories so far and already reached their goal tally from last season. Anderson has been an instrumental part of the new, revamped team. Anderson agreed about the boost in confidence he gained after the tournament. “It has definitely given me an extra push coming back to Concordia,” he said. Michael Seaton of the Portland Timbers, both lined up with Anderson in the third place match. Williams scored once, and Seaton provided two, including the game winner. While Williams and Seaton have helped his game, Anderson is doing his part in helping the game of his teammates when he is back at school. 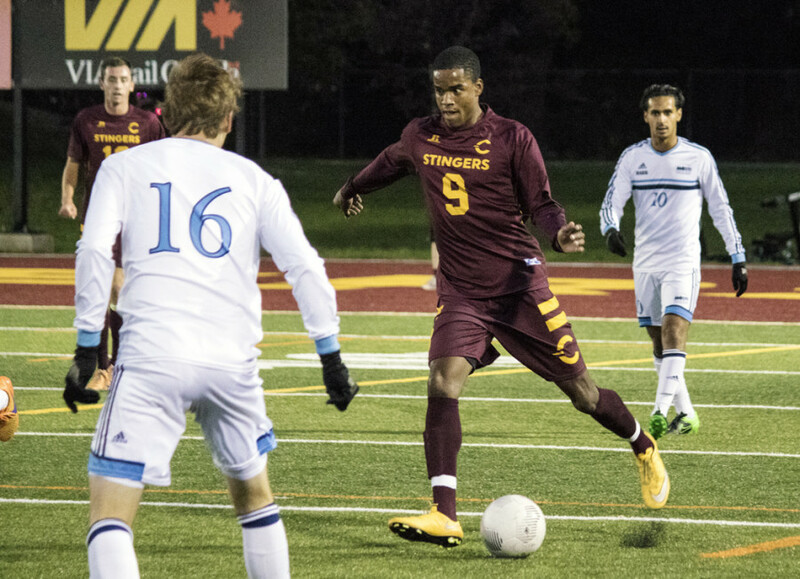 Midfielder Justin Smith acknowledged the effect Brandon has on the Stingers team. Smith, who played in a highly competitive Ontario league for the past two seasons before joining the Stingers this year, ranks Anderson up there with some of the best he has played with and competed against. With the 2015 season in full swing, Anderson has his sights set on making the playoffs. But the thought of his next international call up lingers in his mind. “I really hope I can keep my performance up to a high level that would allow me to be considered again,” he said.